Northeast Students Organization Jalandhar, Punjab in association with Viva Collage Mall organized a pre-promotional event of the 4th edition of annual cultural festival Northeast Fiesta with a aim of Celebrating Culture, Connecting People and Transforming Life on 14 of April for the main event which will be held on 20th and 21th of April 2019 at Viva Collage Mall Jalandhar. 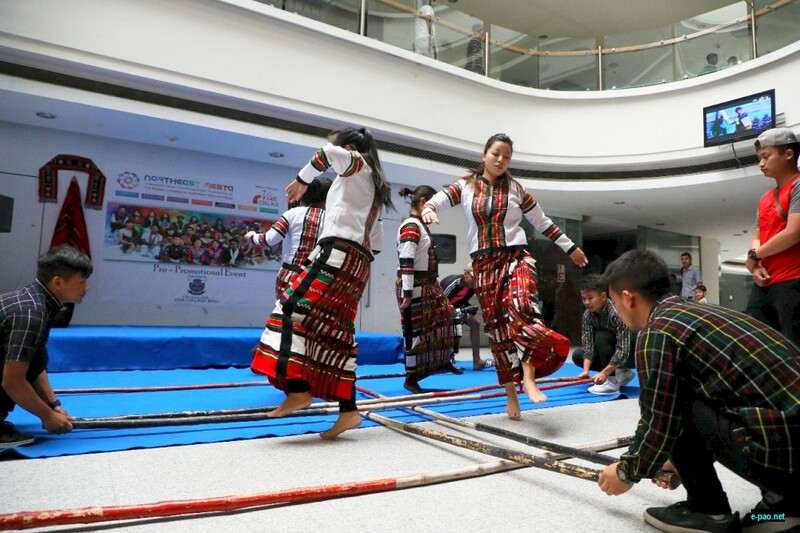 At the pre-promotional event different cultural folk dances, folk songs and cultural fashion show from 8 Northeastern states were performed and celebrity singers form respective states enthralled the audience present during the event. All audiences present during the show were surprised to see such beautiful colours from different states of Northeast coming together and they were happy that such an extravagant event Northeast Fiesta 2019 will take place at Jalandhar and they are eagerly waiting for the final event. The main motto of Northeast Fiesta is to showcase the cultural diversity of northeast in Punjab with a fusion with the Punjabi culture and celebrate with the host city Jalandhar. Northeast Students Organization Jalandhar, Punjab invites everyone to be a part of the 2-day cultural event which is the biggest carnival of Northeast India in Punjab.